Why was Pluto demoted from planetry status and yet there was a mission to Pluto? Any heavenly object that has its own satellites revolve around the sun in a fixed path. No it is not destroyed and still revolves around the Sun. Earlier it was a rumour that PLUTO has been destroyed when it was demoted. Well the size does not matter and to add to your knowledge PLUTO is nearly 1/6 th to that of EARTH and about 2/3 rd to that of MOON(about 1473 miles of diameter according to current stats previously thought to be 1430 miles). Or does PLUTO not have any Satellite? 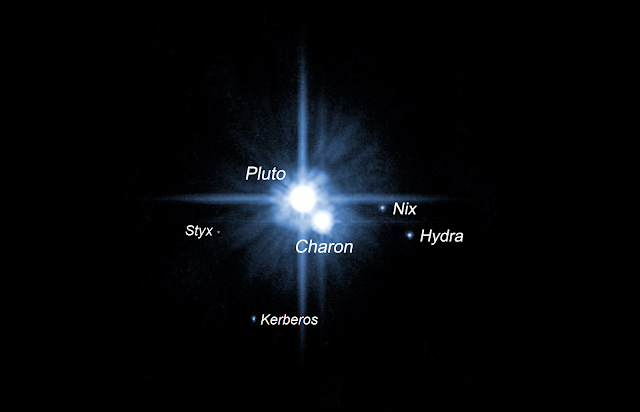 NO, PLUTO has 5 satellites and the bigger one 'Charon' is as much big as half of PLUTO's size. Moreover to be a planet, it is not necessary to have any satellite. Then, Does PLUTO not revolve in a fixed orbit? Well then It has an elliptical orbit and its revolution time is 248 years which is very large. So it does have a fixed orbit. Then why Pluto is not a planet anymore? The answer to this is our Dwarf planet PLUTO was considered to be a planet until we knew about Kuiper Belt of which consists of several of thousands of other objects some with size and orbit similar to that of Pluto and Pluto itself is a part of Kuiper Belt. It was not possible to have too many of planets, so Pluto was re-categorized to being a member of Kuiper Belt designated as a KBO( Kuiper Belt Object). Kuiper Belt consists of several thousands rocky and icy objects which revolve around the Sun just like Asteroid Belt(situated between MARS and JUPITER) and it is the outmost layer of our SOLAR SYSTEM. It existed from the begining of our SOLAR SYSTEM or we can say that the objects in Kuiper Belt are like the fragments of the past as is Pluto. 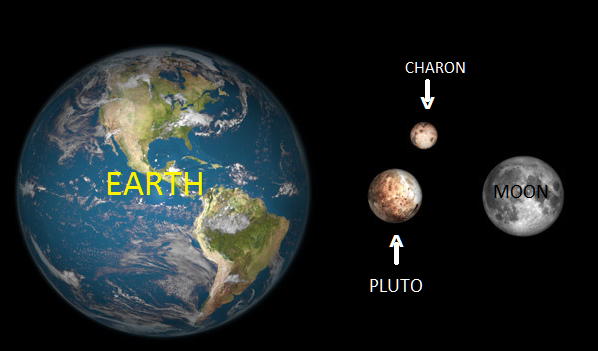 Pluto and its satellites may provide us with a lot of valuable information about the formation of Earth and Moon. So to know more about the history of the Solar system(i.e. how was it formed) and Earth there was a mission to Pluto called NEW HORIZON which took 9½ years to reach to Pluto. It reached on 14 July 2015 and started collecting data. It would take NASA 16 months to download all the data in original format collected by NEW HORIZON on this historical day. Currently NEW HORIZON is sending all the data in a highly compressed format and then later on in its original format. HOPE YOU ENJOYED AND LEARNT SOMETHING NEW FROM THIS POST. TO SEE MORE POSTS LIKE THIS HIT LIKE, FOLLOW AND COMMENT. WANNA BURN FAT QUICKLY? THESE FOODS CAN HELP YOU IN DOING SO!